The first-ever national survivor’s conference held in Dili, Timor Leste, on 11-12 August 2016 was attended by more than 200 people, including survivors from 12 municipalities, government officials, INGOs, local NGOs, foreign embassies and the media. Biranchi Upadhyaya, the Director of Hivos Southeast Asia, opened the conference, followed by an address by the Social and Solidarity Minister of Timor Leste, Sra. Isabel Amaral Guterres. The first day also featured the premiere of the film “Memoria” and a festival that showcased the artistic productions of the survivors and other communities. Three seminars were held on day two: ‘Lessons learned from the survivors: a transformation’; ‘Moving along with the survivor’s; and ‘Building gender sensitive policies and budgets. In Timor Leste, based on research studies such as the Survivor Project, we know there are many women who face sexual violence and other forms of injustice and discrimination. This is especially the case in rural areas, where women must travel long distances to reach services that attend to their basic needs, something which is supposed to be the government’s responsibility to provide. The women who have undergone these abuses are known as “survivors”. The first survivor’s conference provided a space for survivors to meet and share experiences, receive tokens of solidarity and become a powerful voice speaking up against gender-based violence. It was also an excellent learning moment to see how much has changed for the better for the survivors and to what extent organizations helping them have successfully stepped up to the challenge of improving survivors’ lives. Improved services and rehabilitation programs for survivors. Eradication of every form of violence against women and actively combat negative images and stereotypes of women. 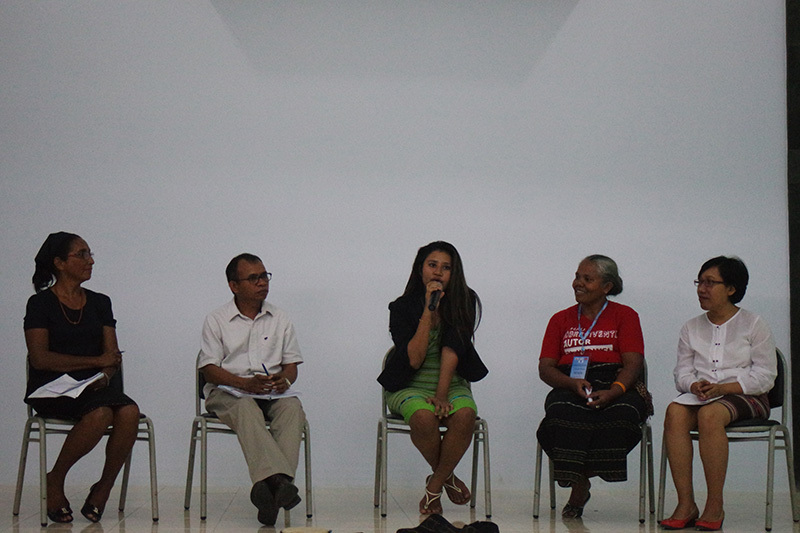 The national survivor conference showed Timor-Leste’s government, donor organizations, NGOs, and other stakeholders how much women survivors have contributed to their community and set out the path forward to help survivors obtain justice and their rights in Timor-Leste.